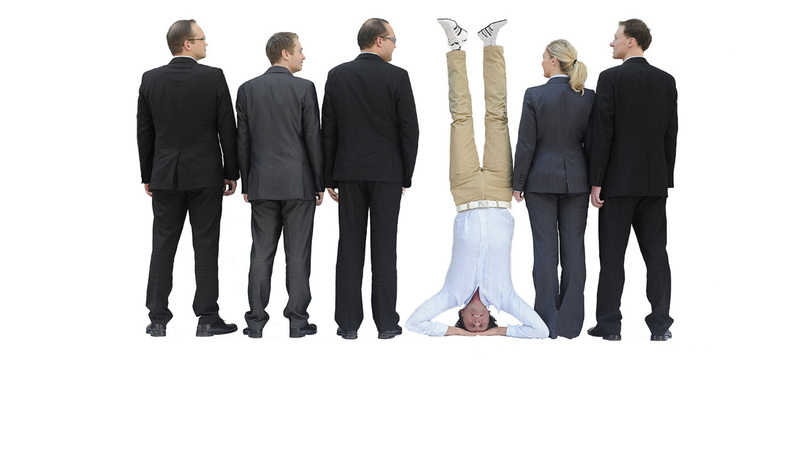 You’ve been hearing it everywhere: If you want to be successful, you need to differentiate. But how do you do it without losing what is uniquely you in the process? That’s exactly why today, in part one of this two part series, I have asked JV Crum III to join us. Listen as he shares his views on heart passion and deciding what kind of coach you truly want to be. During this session, JV also drop some indisputable logic on you that should help to dissolve your fear and discomfort around charging for what you do. Think that’s a lot? Just wait for part two! JV will be sharing his views on abundance and why it is a mindset you must embody, even if you have a dire need for clients. Many people try to differentiate themselves based on a keyword that is easy to get to the top of Google, or a topic that is hot at the moment. The truth is while it may get you some success, it isn’t the key. People shouldn’t try to differentiate themselves with something that isn’t truly them. If you want to truly obtain success through differentiation, you need to look inside yourself first, because who you are inside is going to be a match for a certain type of client. You heart passion or “true north” – Put your hand on your heart and ask yourself, “What is it that you’re so passionate about?” That one thing you would do all day long, lose complete track of time doing, and do for free. Your purpose – Next, ask yourself what difference you want to make in the world. The one thing that if you left this earth without providing, you would think you missed the boat. Your strengths – Each coach has different strengths and abilities that allow them to do something better than most. They may have had training to perfect these skills or abilities, however, they probably could perform them better than 90% of others even before this training. Convergence factor – There is probably over one-hundred niches that you could work within. However, the niche you decide to focus your energy on should be one where clients are seeking what you’re excited about providing, and have the money to pay for your services. One fact that may be important in obtaining this convergence is deciding what previous success a prospect must have had before you will accept them as a client. JV suggests that it is a lot easier to take a client from half a million turnover to a million, or one million turnover to two million, than it is to take someone from fifty thousand turnover to one hundred. This is because they already have the right mindset and reference points of success. The further up the chain the client is, the more they will be happy to pay you, the better client they will be, and the better results you will obtain for them. JV suggests that once you find the right clients for you (your avatar), while staying authentic and true to yourself, then you will get plenty of business. I try to do what I love, but I struggle to charge for it! JV advises scarcity and abundance is a continuum and while no person completely embodies either, many unsuccessful coaches tend to be more scarcity focused. The scarcity mentality suggests that there are not enough customers for everyone and there isn’t enough money to go around, therefore, we must fight for our part and not charge too much or clients may not be able to afford us. JV proposes that the closer that anyone sits to abundance, the more profitable, financially successful and bigger the difference they can make in the world. Ask yourself: If you pay $5,000 for something compared to $50 then are you more likely to want to get some value back? Of course. In short, you’re going to do the work to ensure that you do. What about if you paid $50? Well then it’s whenever you get around to it. Now what about if it was free? Then there is very little chance that the information will be truly valued. So are you imposing on people to ask for higher fees? In general, people who go into coaching are good people. They have a good heart and want to help others. They have great skills and offer great value, however, unfortunately many of these good hearted people are also BROKE. JV submits that it’s a mindset issue, suggesting that these people think, “I have these great gifts and it is my obligation to go out and change/help people.” He further states that because they feel obligated to do this, they think they should do it for free. After all, you can’t not help someone because they can’t afford it…right? Wrong! In actuality, you’re going out to save them and you should not focus your time on helping people that aren’t helping themselves. JV Crum suggests that if you’re trying to SAVE people you should join a religion or create a non-profit, but if you’re going to be in coaching as a business you need to be clear about one thing: You give great value and you deserve to get value back. If you don’t, then you’re not serving anyone. The customer won’t value what they got from you. After all, you practically gave it to them, and you won’t be served, as not being able to pay your bills makes it incredibly hard to grow and help others. If you’re going to work with someone for three months and as a result you anticipate they’ll add an additional $25,000 to their bottom line, then you should get at least $5,000. If they are going to make $50,000, then maybe you should be getting $10,000. After all, if you look at the stock market, property, etc., where else are they going to get that kind of return? Wealth is created by adding more value. If you charge $10,000 but return $50,000, then you didn’t take from anyone. You created value for them and you got value for doing so. You also helped your client create value out into the world for which they received value in return and so the butterfly effect goes out to the world. That’s how we grow an economy. So, a coach shouldn’t have a mentality that they are taking from the client. They should see that they are providing value that is echoed eternally through their client to their client’s customers, etc. J V Crum III is a best-selling author, marketing and strategy expert, and founder of Conscious World Foundation, an international business coaching and training company that helps conscious entrepreneurs get their gifts out into the world and make a positive impact by building a profitable business. He holds a MBA, law degree, and a Masters in psychology. He is also a serial entrepreneur who has built and sold his own companies. How can I find out more about JV Crum III? As the podcast will have sessions both in video and audio, make sure you subscribe to both the audio and video versions of this podcast. While you’re there, PLEASE PLEASE PLEASE – leave a review and the star rating you feel this is worthy of. Everything you need to coach clients through their first five sessions and lock them in long-term. Matt: Hello everyone, and welcome back to Better Business Coach Podcast. My name’s Matthew Pollard, and as always I am your rapid growth guy. Today I have a very exciting session planned with you. I have with me J V Crum III. He is a best-selling author, marketing and strategy expert and founder of Conscious World Foundation. 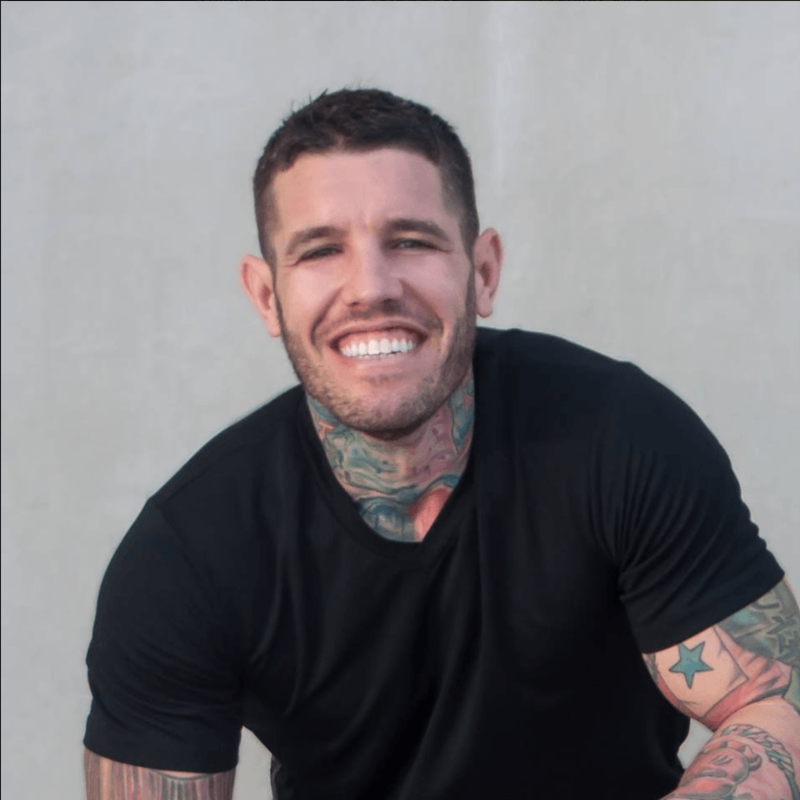 He’s also the founder of consciousmillionaire.com, which is an international business coaching and training company that helps conscious entrepreneurs get their gifts out to the world and make a positive impact by building a profitable business. He also holds an MBA, a law degree, and has a Masters in Psychology – and is a serial entrepreneur, who has built and sold his own companies. J V, welcome to the show, and I’m so looking forward to the content that we’ve discussed that we’re gonna be sharing with the listeners today. J V: Well Matthew, thank you for having me on your show. And first of all, I want to tell you how much I personally love your new podcast. It is such great information, I think every coach should be listening to it. Matt: Thank you very much. I’m actually very, very excited and humbled by the fact of – all the great reviews that we’re getting. And somebody that has such a terrific podcast like yourself, that I know I listen to all the time – to say that, thank you very much. I really appreciate it. So J V, I know especially for business coaches, which is our primary listenership. They really want to know how to get their message out to the world. And I know that this is something that you specialise in. You’ve worked with so many different people in helping them get a unique message out there, in such a crowded marketplace. And I was hoping that you could share with the listeners how exactly you do that, and how do you make them unique? J V: Yep, well the place to really start is – what I think is where a lot of business coaches miss it completely. And it’s where a lot of entrepreneurs miss it, and that is starting with what I call your true north. Now it’s a 3 step process. I work with clients all the time. I love doing this because it’s what can really differentiate you. But so many people try to differentiate on something that isn’t truly them. It’s not authentic, it’s not real for them. So you’ve gotta go inside to really find out what kind of a business coach are you? Because there’s – it’s not a matter of just looking at a list and saying, “I like those words.” Or, “Those are great keywords, so I’m gonna use them.” It’s a matter of finding out who you are, because who you are is going to be a match for a certain kind of client. And so you first have to dig down and ask yourself, “What is the heart passion I really have?” Now heart passion’s pretty easy to understand. Because heart passion, you just put your hand on your heart and you ask yourself, “What is it that you’re so passionate about, that you would do it all day long, lose complete track of time – and you’d do it for free, because you get so much joy from it.” Now when you can say all of those, you’d do it all day long, lose track of time, and you’d do it for free – you’re on the road to your heart passions. But now ask yourself, what is the difference I want to make? What’s the purpose? So think of purpose as, there’s 2 or 3 differences that you’d really like to make. Now in my case, I like waking people up to their potential. And I would do that with adults, with children. With everything that I do in fact, it really comes down to personal growth and awakening to potential. And giving people tools so that they can do something with that potential that really matters to them, to other people, to the world in which we live. So for yourself, there’s going to be some difference that you’re just– If you leave this earth and you haven’t completed that difference, you’re gonna feel like you missed the whole boat. That you had not taken the true path for yourself. And then you’ve gotta look at your strengths. Because each of us as a coach has different strengths. I’m really great at mindset and strategy and execution, and so that’s what I focus on. Now Matthew, you’re really great at really – you’re such a good salesperson, and I love sales, but I love the mindset even more. And you really have focused on sales, so you’re gonna focus on sales. If you’re listening to this, you have some specific strengths that are so natural for you that while you’ve probably gone and gotten training in ’em – because you love ’em and you want to be your best. The truth is, you probably did ’em better than 80% of the world before you ever got a moment of training. Because they just came to you. I can think strategy in my sleep, it’s just easy for me. There’s something that you can think in your sleep as well. So you’ve got to get that true north. So once you’re clear about who you are, then you’ve gotta go out there and ask, “What’s the–?” I call it the convergence factor. There’s probably 100 niches that you could work with, but you gotta find the ones that are gonna be a good match for you. They’re really right now seeking the kinds of things that you’re excited about providing. They’ve got the money to pay for it. They really want it, and you’re gonna really be a great match for each other. But now that you’ve got the true north and you’re beginning to get an idea of who’s that avatar you really want to be working with. Forget what might be the ideal – that you read in some magazine. Or that, “This is the top kind of client to get, they pay the most.” Go for the client that’s right for you, and when you find the right client, you’re gonna get plenty of business. That’s not gonna be the problem, because here’s what you got to do. You’ve got to create a platform. You must have a platform for yourself, so let’s define, “What is a platform?” Platform’s pretty simple. It’s any time you’ve got, and I call it a “microphone that you can use, and there are people out there that are your avatars that want to hear you on that microphone.” So in my case, I love talking. I would rather talk, I’ve got a great best-selling book – but it wasn’t as much joy for me to write my book as it is for me to get on a podcast and have guests or be a guest on podcasts. Or be on radio shows, I just love doing the talking – so I love to coach. And you probably like talking as well. But you might also like reading and writing. So if you like to write, maybe you like blogs? Maybe you want to get articles out there? You’ve got to find what is the avenue that’s gonna work for you that you’re gonna connect. Maybe you like doing a webinar and you want to get that webinar with lots of affiliates? That’s really your shtick, and you’re really good at that. Or you like being a guest on other people’s webinars. But there’s going to be some platform, some way that’s going to feel so right for you, that you’ll be excited about building that plat– It won’t be work. Because I assure you, I am now recording – we are having 4 podcasts with my non-profit by August. And I’m now working – right now, on 3 podcasts for Conscious Millionaire. And the 2 days a week that I’m working on my podcast are my favourite days. Why? Because they don’t seem like work. This week I have one day I’m interviewing 8 people. Today I’m on 2 interviews myself. But it doesn’t seem like work, because it’s so much fun. There’s some platform that’s right for you, and it’s going to– You don’t have to worry about even the kind of sub-products that you’re gonna create around your coaching, ’cause you want to create digital products. That’s a whole ‘nother conversation. But every person has a way that’s just natural for them. And guess what? There are going to be people who will find you no matter what you do. There are people who read blogs, and they might – and there are people who listen to podcasts, and listen to different audios and like to watch videos. So you might put videos all over the internet and put ’em at YouTube and put ’em Facebook, and put little ads to them. I mean there’s so many different ways that you can connect. You will connect with your audience in a way that resonates best with you, because that’s how you’re gonna shine. So you always want to be thinking about how you can go out there, do what you find to be enjoyable – that you feel is your calling. And do it in a way that’s so natural and easy for you that it’ll come across that you really are an expert, because you’ll be at ease at it. 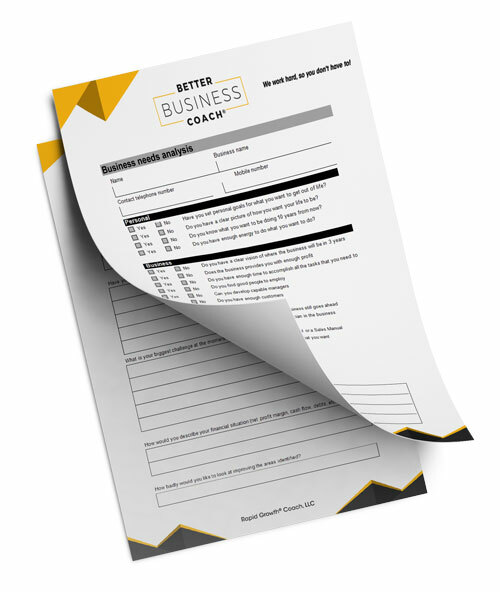 Matt: That makes perfect sense, and the thing I really like, and it really feeds back to what we were talking about in Better Business Coach session 2 and 3. Which is – work out the true benefits that you provide and the true people that you help and that you get the best results out of. Matt: Because anything less, you’re not gonna enjoy it as much – and you’re not gonna be able to offer as much value. ie. You’re not gonna make as much money as you could of either. And you and I, I mean – obviously I’ve got the nickname “the rapid growth guy.” I make that very clear in this podcast. But it really is embodiment of everything that I offer. I mean, just before we got on this podcast, we had a conversation about your new Conscious World Foundation. And we were having a whole conversation about ways in which that you can get a scholarship, which is just a phenomenal thing that you’re doing. And ways in which you could perhaps create rapid growth inside your foundation. It’s because it’s what I love. I love to share ideas. And everybody has that thing that they love that, again, they wouldn’t charge for – it’s just so nice that they can. J V: And that’s exactly right, and that’s why I have Conscious Millionaire. Because I want people to be financially successful. However, it’s connecting with the higher consciousness. It’s doing something that has a higher purpose. It’s using your mindset and moving through the levels of resistance that you might have and changing your belief systems. And doing something that helps the whole world. So I like attracting people who really want this to be a better world. I like working with those kinds of people, so Conscious Millionaire’s perfect for me. There’s gonna be something, that just like Matthew and I have our particular niches – you’re gonna have your particular niche. And you’re gonna be great at it, as long as you choose what is authentic and real for you. Matt: Brilliant. Now J V, I know that a lot of people pick up and do what they love, but the problem they have is they struggle with charging for it. And they tend to devalue themselves so, so much. And I know that you, you talk about extensively in your shows – the mindset to achieve abundance, and having that abundance mentality. Would you mind imparting some of that wisdom with my audience? J V: Sure, absolutely. Let’s think of scarcity and abundance as a continuum. It’s not an all or nothing, there’s no person on earth that’s completely embodying scarcity. Although there’s some that might be 99% there, and there’s nobody that’s completely embodying abundance. Most of us are some kind of a blend. 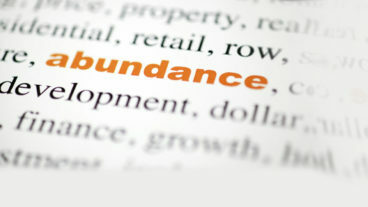 But when we move more towards the abundance end is when we become more profitable, more financially successful. And also, a lot of times when we make the bigger difference out there, because you and I both know that when people– You know yourself, I know myself. If I pay $5000 for something, versus $500 – well by golly, I want to get some value back, right? So I’m probably gonna do the work. J V: Right? Because I’m not gonna pay $5000 for a program, and I didn’t get at least 10, 20, 50 thousand dollars’ worth of value back – ’cause I’m not that kinda guy. I’m not gonna be happy just wasing $5000. But honestly, if I paid $500 or if I paid $50 – now, if I paid $50, that’s like if I ever get around to it. Matt: I agree with you, and I’ve had people that have sold things for a certain amount of money, and it might have a price tag for $10 000. And when I buy the product, because I’ve spent $10 000 on a seminar – and I’m continually going to seminars. I will always complete it. And there are other people that offer me their seminar for free on the basis that I may pick up consultation with them or something in the future – and I never even get through their seminar, because I just didn’t value it as fully as I probably could have if they had have charged me for it. So I was gonna segue into – a lot of people have trouble with– Them feeling like they’re imposing on people though, and devaluing the true benefits that they can provide. How would you suggest they deal with those situations? J V: And then you go down this long little no win alley to, “I am gonna help all the people in the world who really aren’t even helping themselves. Who really aren’t all that motivated, ’cause I’m gonna go save them.” You might not be saying that, but that’s really what you’re doing, right? J V: And listen, saving people – if you want to be in the salvation business, either go to religion or create a non-profit, but then again – you should only be helping people who really want the help and are gonna do something with it. But if you’re gonna be in coaching as a business, you need to get clear about 1 thing. You’re adding value, and you deserve to receive value back. And if you don’t keep that in balance, you are doing a disservice to everyone. You are not serving your customer, because the customer’s not gonna value what they got from you. After all, you practically gave it to them. Why should they? You didn’t value it, you didn’t charge enough. And you’re not going to be served, because you want to be paying your bills – so therefore you won’t be expanding your business, therefore you won’t be helping more people. Let me tell you, cash flow will take care of almost every problem in a business. Because if you’re running out of ways that you can get your message out there – the moment you’ve got plenty of cash, you’ve got capacity all of a sudden. Because you can hire one more person, and now you’ve got a whole new set of ways – you can create new products that you didn’t have time to create before. If you don’t charge what you’re really worth, people will not value it. They won’t get the work done, they won’t get the results they have gotten. You should be asking them and charging fees that are truly worth what you are providing. 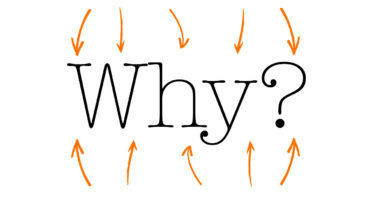 So ask yourself, “What do you really want your client to get?” Multiply that by at least 3 to 5. So let’s take 5. And this – and you’re a business coach, so let’s look at the money factor. Because that’s how they’re gonna look at it. If they’re not making more money, they’re not gonna be happy with you as a business coach, ’cause that’s why they came to you one reason or another, right? So if you’re gonna go, “If I’m gonna work with somebody for 3 months, and they are going have $25 000 more bottom line – shouldn’t I get at least $5000? Isn’t that reasonable for all of us?” Because you’re going to help them take that $5000 and leverage it into 25. And if it’s $50 000, maybe you should be getting 5 to 10 thousand for working for them. It’s still a great proposition. They invested and leveraged their money back 5 fold. Where can you do that in the stock market or real estate on a consistent basis? Matt: That’s exactly right. People don’t see their advice as truly valuable. However, if it affects their bottom line in such a significant way – and as a business coach, just purely getting a business owner to work on their business rather than in their business can have such a substantial difference. You will get those results. It’s funny, when you say that people don’t value the advice you’re giving unless you charge a significant amount – you’re so right. When I first started coaching clients, I used to charge a few hundred dollars. And what I found was people wouldn’t do the homework that I set them. People wouldn’t do – if I told them to watch a video about niche marketing, they wouldn’t do it. And then I’d have to continually explain it. And what I realised was people bought into the idea of me, but they didn’t buy into the value of me. Matt: And as a result, they weren’t doing their homework. So what I then did is, I tripled my price. And what I found – almost overnight – is all of my new clients did all of their homework. And the success I got with them tripled, quadrupled – more than made up for the fact that I was charging more. And that then allowed me to say things like, “What I find is any person in sales niche marketing and differentiation coaching should be able to pay themselves off within a period of 5 or 6 hours. Because the low lying fruit is generally so, so obvious to them that they can offer advice that will turn profit lines and rapidly grow a business so, so quickly.” And that kind of message, with what I was charging was believable. Where if I had have charged, “Oh I’ll give my advice for free, pay me what it’s worth.” Or, “Pay me a few hundred dollars.” There’s no way I could sell the message of what I was actually trying to accomplish for them. J V: Now that’s the scarcity end of what we’re talking about. The scarcity end says there’s not enough customers, and there is not enough money to go around. “It’s a pie, and I am going to have to fight for my share of it. And therefore I don’t want to charge too much, ’cause I may not be able to find anyone.” Now the truth, let’s just debunk that one right now. Because the truth of how wealth is actually created, is it’s by adding more value, period. And last time I checked, there’s 7 billion people on the face of the earth, and there’s no limit on the amount of value we can all add to one another. Therefore, if you make a million dollars this year – and I want you to be thinking that way, “How can I bring in a million dollars this year?” Right? You did not take from anyone. In fact, you only added and added and added value to all that you touched. And all the people you touch go out there and they touch people. And they’re sense of who they are changed and magnified and was uplifted by your work. And now they’re gonna go out and uplift other people. And it becomes this major, major ripple. If you add a million dollars’ worth of value, or paid a million dollars in return – then what you’re really doing is adding 10, 15, 20, maybe 100 million dollars of value to the world. Because everyone’s gonna go out and touch other people, uplift them, they get more value, they get more value, they get more value – that’s how we grow an economy right there. Matt: That makes perfect sense, and really important just to extract the key principle about what you’re sharing there. Is a coach shouldn’t have the mentality that they’re taking money from the client. Matt: They should have a mentality that they’re really giving value, for which they get some return. But the echo of the value that they give is echoed eternal. In through the client, the client’s customer’s, the client’s supplier’s – out to a complete society experience for everybody that’s involved in that butterfly effect. I had a client that in 5 months went from 1 to 2 million in revenue and had $80 000 a month in profits. But went from 1 to 2 million. That’s a whole lot different than going from 1 to 200 thousand. Yes you can do that, but I find that the further up the chain you go -in terms of how much success somebody has already had. The better client they typically make, the more that they will pay you, the happier that they are, and they’re more – they’re absolutely gonna do everything that you discuss with them. Matt: J V, thank you for sharing that, because that is so true. And a lot of people struggle with trying to get clients to pay large dollar values per hour when it’s a new start business – because there’s such a little amount of capital to start. So don’t be disheartened when you’re asking clients that you meet perhaps out in friendship groups or in networking events – if they don’t agree that you’re worth that specific value. What they’re really saying is that they’re not big enough yet to be able to work with you. I find that for a lot of the businesses that I work with, depending on their size – they either work with me on a consulting contract or a coaching contract on a month by month basis. Or will come in and do something like my, “How to get more customers program,” to get some value straight away. And then go away, start the business – or implement those ideas, and come back a few months later once they’ve reaped the benefits of that advice. And then they’re there and ready to want to move in to long term coaching. So don’t be disheartened if people are not going to jump on month by month coaching basis straightaway if you’re gonna be charging lots of dollars per hour. You can also change what you charge based on the size of the business. Because a corporate business will require a lot more preparation before you go in the door. Where a small business may require a lot less. Now J V, I want to ask you the hard question, which is – it’s okay for you. You’ve got a law degree, an MBA, a Masters in Psychology, you’re a serial entrepreneur and you’ve built and sold a bunch of companies. Plus you’ve got a successful podcast. How exactly does somebody that’s starting now, who’s got no money in the bank, have an abundance mentality? However I’m looking at the clock and I know we’re getting close to 20 minutes now. So I’m going to press pause on this interview, and we’ll pick that up in the very next episode. So I’m going to post it at exactly the same time like I normally do, so you can move straight into it if you’ve got time. But for now, thank you so much for listening to Better Business Coach podcast. If you haven’t already, please take a second to post your review on iTunes, I would really appreciate it. All of the wonderful responses that I’m getting on those reviews – it’s just, it’s so overwhelming and it’s so fantastic to see. So for now, thank you so much for listening today, and I look forward to seeing you in the very next episode, cheers.